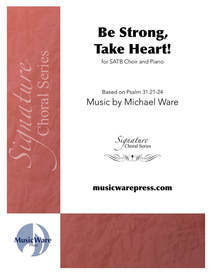 Be Still, My Soul, a selection from the Signature Series, is Michael's original setting of the beloved hymn. It reminds each of us that God will continue to lead us no matter what the future may bring. In everything, He is faithful. Scored for SATB choir with piano and flute.